I swear it's not just because I can wear them while in my current preggo situation, but I'm quite possibly obsessed with Blazers lately. 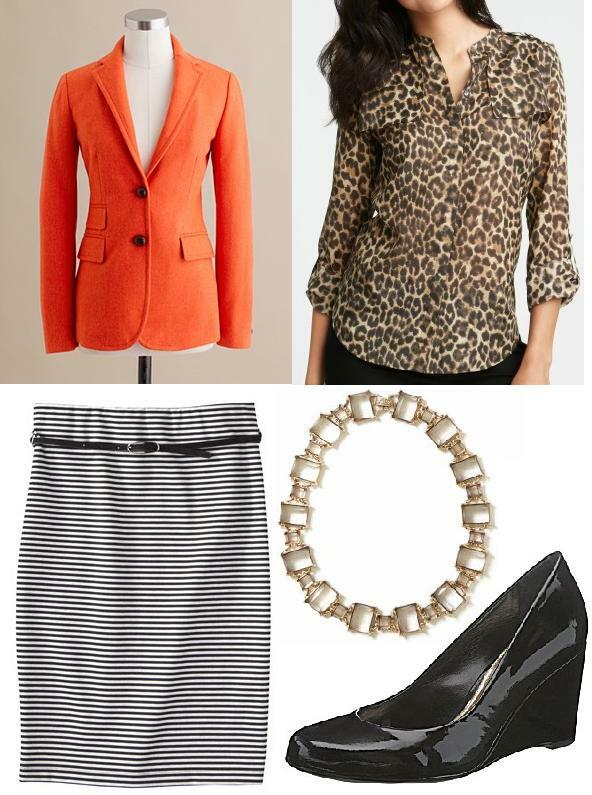 And today, on Friday Fancies, we're designing our dream outfit around blazers. I am lusting after this bright orange Hacking Jacket in Herringbone Vibrant Flame from J.Crew. It's on my wish list big time. I would layer this over a leopard blouse (I have one from Old Navy that doesn't seem avail online anymore, but check your local stores or this one from Ann Taylor is currently 40% through Sunday), tuck it into a fitted (& stretchy = bonus) stripped pencil skirt from Target. Top off the look with a pretty collared necklace (this one from Banana Republic) while bottoming off the look with patent leather wedges (which I also really want & need - these by Antonio Melani). I want to wear this outfit. 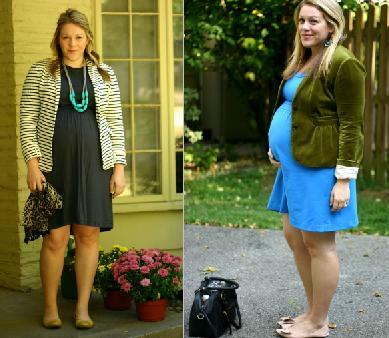 Here are some of my latest blazer looks, until I can get my hands on that J.Crew one!